GANTNER Winch Technologies specialises in the concept, design, development, and fabrication of winch systems used in mines. With 65 years of winch constructing experience, GANTNER has deep knowledge and professionalism in developing winch systems that correspond 100% to the client’s requirements and wishes. GANTNER provides a broad range of winch construction services, having developed winches for very diverse fields of application and industrial sectors such as the hydropower and construction machinery sectors, and the cableway industry. With competence in design, development, and manufacture of high-technological machinery such as control system programming and development, combined with integrated project management, GANTNER is able to fulfill all customer requirements when a custom winch system is needed. Winding equipment made by GANTNER Winch Technologies is frequently used for the transportation of loads and personnel in shafts. Heavy loads can be transported in vertical shafts and drift shafts. 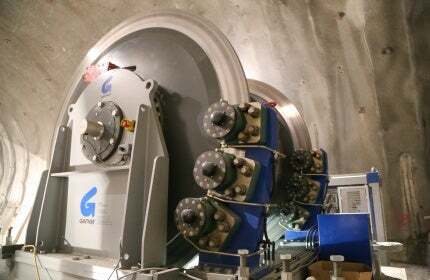 Depending on the requirements of the mine, project and client, GANTNER designs the most appropriate winding system for the individual project. The company’s products are used as both heavy winches for material or equipment-handling; and as service winches for personnel movement, in order to complete maintenance or installation works, or to transport equipment. They are also suitable for use as rescue winches. GANTNER has a great deal of experience in designing and manufacturing rescue winches. In addition to winding systems for recovery purposes, the company is highly experienced in rescue winches, for example, for cableways installations and mine shafts. GANTNER combines all of its knowledge for the development of custom winch systems, to fulfill customer requirements. GANTNER rescue shaft winches contain a large number of safety features that ensure the best conditions for efficient recovery processes and systems. GANTNERS’ hoists, winch systems, shaft winches, and rescue winches deliver high performance in every aspect. The company processes well-selected and proven components in all production phases, and performs comprehensive quality tests at its testing centre in the GANTNER premises in Austria. Every single winch is constructed for a specific purpose and achieves the best performance possible for those conditions. All GANTNER winch systems for the mining industry correspond to the latest developments in the industry. The company aims for continuous improvement of its developments and technology. In addition to that, it uses state-of-the-art power drives, disc brake systems, grooved drum systems, and plug-in gears, to name only a few examples of the high-quality components selected for the winches. Primarily, GANTNER produces electro-hydraulically or electro-mechanically driven winches, but is also experienced in diesel-hydraulic systems. GANTNER delivers a comprehensive service, starting with the development of a winch system, accompanied by professional consulting of its customers, to the installation of the winch. At its premises in Western Austria, GANTNER designs, manufactures and assembles the complete winches. The production process also includes software programming, as well as the control systems with all safety features. GANTNER is a full-service winch manufacturer offering great flexibility in producing winches perfectly suited to each customer, with designs based on existing and proven components and modules. GANTNER and the LCS Group are pleased to announce they have been awarded three very important certificates during the last year. Thanks to the great experience of our team and perfect coordination between customer service, development and production, our experts can manage any type of project for our customers, whether aerial ropeway or newly developed special winch. GANTNER designed, developed and produced a shaft winch for a deep mining shaft in Tasmania (AUS). GANTNER Seilbahnbau GmbH is an Austrian engineering and production company specialized in winch technologies. During the last year, the LCS Group and GANTNER were certified with three very important certificates. We want to present our brand-new winch GW270. GANTNER has received an award for its efforts and achievements with its apprentices throughout the last years.